INFO: Bolivar wrote about the basic categories of the Guarani of Buenos Aires, transferring, still juvenile, to Grêmio base categories in 1999. Aires in 2002. He transferred the following year to Colorado, where he had his great opportunity, passing through a center-back, becoming one of the most successful players and one of the biggest successes in the history of the Sport Club International. Bolivar was one of the highlights of the Copa Libertadores team of 2006. 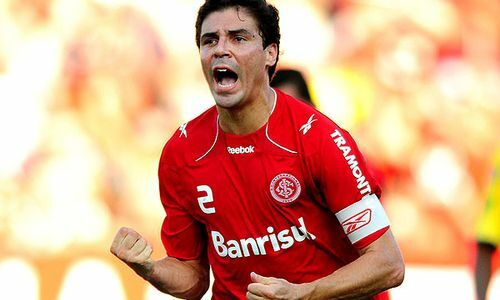 The last competition against Sao Paulo was his last match for Internacional, as the performances led him to be hired by Monaco, the French club, for R $ 8,664,705, a club that defended himself from August 2006 to June 2008. In the same year that he left France, he returned on loan from Monaco to Internacional. In June 2009, the player signed the contract with Colorado again. Not even a year, he became a team leader, exercising a function to leave the club. On August 11, 2010, at Chivas Guadalajara, Mexico. Bolivar scored the twist of the 2-1 victory, after the pass of the Indian behind. In the next game of the final, on August 18, he won the Libertadores champion for the second time, raising a cup as captain of the team.